The holiday season’s most anticipated shopping day, Black Friday, usually inspires both dread and glee. Just thinking about the long lines, waking up at ridiculous hours, and now maybe starting shopping on Thanksgiving. instead of quietly digesting turkey, is enough to make many groan. Still, people love discounts. And for some shoppers, it may seem like Black Friday is the only day they can buy what they need at a price they can afford. The sad truth is that Black Friday is not the great discount day retailers would have you believe. Depending on the item, it may not even be the best day of the year or the holiday season to buy. Even if the long lines and ridiculous crowds don’t put you off, there are five other good reasons not to leave your house to go shopping on Black Friday. No matter what the advertisements and fliers tell you, there aren’t that many good deals to be found on Black Friday. This wasn’t always true, and stores are counting on shoppers to remember the good old days of real discounts. 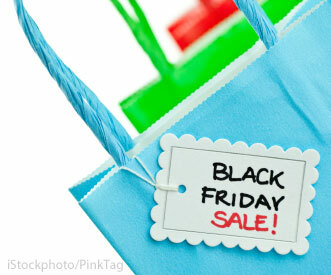 Now Black Friday is more a marketing trick to get you in the store. According to data from Decide as reported by the Wall Street Journal, supposed “deals” on Black Friday often reflect prices higher than a normal day three weeks or a month or two before. And prices may go down on some items through the month of December. In fact, ZingSale, a price tracking site, found that 72% of items on sale this Black Friday could have been purchased for as much as 33% less in the past month. The biggest offenders: clothing and apparel (up 33%), watches and jewelry (up 16%) and Digital Cameras and Electronics (up 14%). The best thing to do is to keep an eye on product prices in the months leading up to the holidays, not just in November and December. Decide and ZingSale can help with that, as the websites track pricing data. Decide digs a little deeper, identifying how old models are and if they're due for a refresh soon. You can even buy price insurance. While many Black Friday deals don’t represent real discounts, there are some doorbuster items available at a heavy discount. The problem is that each store only has a limited quantity of these items available. And by "limited", I mean there may be as few as five of each doorbuster product. Once those are gone, the price goes back up to normal. Whether you go into your Black Friday shopping knowing this or not, you’re more likely to stay in the store and spend money since you took the time and trouble to be there. That’s what retailers are counting on. The lure of a laptop under $250 or a tablet under $200 or an eReader under $75 is very strong, especially since these items are normally pretty expensive. However, don’t assume that the device you’re buying is one that would usually sell for much more or is even worth what you’re paying at a discount. Some of the electronics you see in Black Friday sales are cheaply made and designed specifically to be sold on that day. Yes, even laptops. And while it may seem like a steal to get a tablet for $100, you're often actually getting what you pay for. This is the case for larger electronics as well. Televisions are a big doorbuster item, but don’t mistake a big screen for good quality. As much as possible, research the Black Friday items you see advertised. Check the model number online, or, if you're in the store, you can often scan the barcode on the box with an app like RedLaser app, which is free for iPhone, Android and Windows Phone. It’s important to know if the product exists outside of a particular sale. And if it does, how much the product sells for normally, and whether it's a good buy at any price. Shoppers can often find better deals online throughout the year, and the holidays are no exception. Amazon in particular is doing a big holiday push, offering discounts all week and on Friday on many of the same items Best Buy, Target, and other big box stores hope you’ll bust down the door to get. Sitting in front of a computer refreshing the discounts page is pretty tedious, but can be done from the comfort of your warm bed. eBay is luring customers with 80% off new items ranging from the 7-inch Samsung Galaxy Tab to Sony VAIO laptops to fashion items from brands including Kenneth Cole. And if you feel the need to get out of the house on Black Friday, you can book a free spa treatment at Bliss and enjoy a manicure, pedicure or foot massage while using the free eBay Mobile app. Appointments are available at spas in Atlanta, Chicago, Dallas, LA, NYC (two locations), San Francisco and South Beach. Black Friday sales are about getting more people in the store to spend more money than they need to. For every strong-willed person who plans and sticks to a budget, there are 20 more people just grabbing things willy-nilly because there’s a discount sign above them. Know what you really need when you walk in the door and don’t be tempted by inexpensive products you know nothing about. Need help figuring out which is the right product to buy? Lela.com (a partner of Techlicious) can help you sort through the options to find those that best match your lifestyle. Another danger is buying full price accessories and add-ons for the discount electronics in your cart. Stores display HDMI cables, batteries, and other necessities conveniently next to larger ticket items in the hopes that you’ll buy them. Items like these can almost always be found online for much less. Still Want To Get in on Black Friday Deal Action? If the lure of a great discount is still too powerful for you to resist, here are some quick tips for getting the best out of Black Friday. 1. Compare prices and deals ahead of time by looking at all of the ads and online retailers. Sites like BFAds.net and DealNews.com, and the Catalogue app from TheFind.com, aggregate retail store fliers and even identify mystery deals. 2. Shop online stores like Amazon.com or even the websites of brick-and-mortar retailers like Best Buy. 3. Look for deals directly from manufacturers where possible. Apple devices don’t normally go on sale or get big discounts, even on Black Friday. Recently, the company started offering a small discount on this most special of days that are exclusive to the Apple store (online and physical). Check the websites and advertisements of big brands to see if their deals are better. 4. Consult websites that offer data on best prices, such as Decide.com or TheFind.com, to see if the item you want will be less expensive later or at another store. Been getting a lot of flyers in my email for the pre-Black Friday sales - even the junky junk is offered at a premium. Haven’t really seen any good deals in the whole lot. I am an online shopper except for groceries. I also get free shipping with Overstock and Amazon—my go to place for shoping and customer reviews. Often no tax, no shiping costs, no gasoline costs and the products are delivered to my home often in less than 3 days. Do these people realize, especially many of the campers, that the cost of their booze, food, and drugs will cost more than they could ever save if they are lucky to get what they want? Also if they are taking time off from a paying job they are just looking for a party. I am guessing that many of the campers do not have jobs so our tax dollars are paying for everything. Here’s A FEW NEW HOT TABLETS released in November—and one of the first resellers to carry these new Android models is a site called TabletSprint—The first three models are made by Ainol Electronics, which received a “Best Tablet of the Year” award at CNET Consumer Electronics Show 2012—the Novo 7 Flame Android tablet is available for $189 and offers many more features than the 7 inch Nexus 7- which sells for $249… The Novo 7 Flame includes a 1280x800 High Resolution screen, a powerful Dual Core CPU/1.6 GHz, 32GB Memory, MicroSD portable storage, an HDMI connection to your TV with full 1080p (HD) that’s great for movie downloads; Two Cameras - a 5 MegaPixel camera with video recording and AF & Flash and a 2 MegaPixel Webcam; Plus Bluetooth, Ethernet, WiFi and an option for 3G through a USB adapter. There’s also a 10 inch version released this week with impressive features… the Novo 10 Hero for $225. Also just launched this week is the $99 - Novo 7 Legend - which is truly the first quality “$100 TABLET” available of any major brand… with many of the same features as the higher end Novo 7 Flame—Tabletsprint also offers two new tablets in December with 3G Wireless built directly into the tablet—the Pipo 763 - 3G… a 7” tablet for $199, and the Pipo M8 3G, a higher-end 9.4 inch model with a 1280x800 high resolution screen that also offers GPS & Bluetooth.